70, March 17, Arlington. A beloved filmmaker and instructor, Andy Anderson has been credited with developing UTA's film and video program into a showcase degree. Anderson joined UTA in 1976 as a photography instructor. He was honored as the first Morgan Woodward Distinguished Professor and as a Minnie Stevens Piper Professor. He served as chair of the Department of Art and Art History from 1995-2005 and as a writer-in-residence. An active filmmaker, screenwriter, and director, Anderson was a professor emeritus when he retired in 2011. 86, Sept. 27, Arlington. 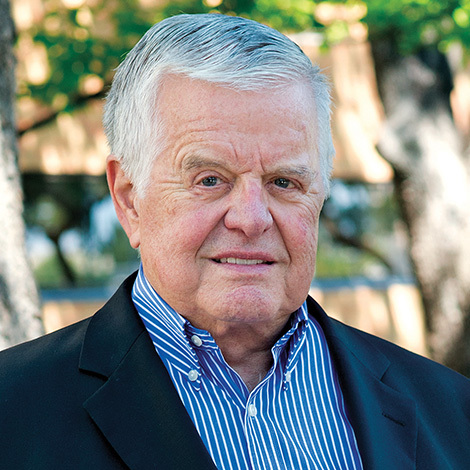 A longtime supporter of UTA and an honorary Distinguished Alumnus, Arnold Petsche was president of A.E. Petsche Property Co. and the retired president and chairman of the board for the A.E. Petsche Co. He founded the A.E. Petsche Co., an aerospace wire and cable distribution business, in 1966. The business grew to encompass 20 branches worldwide with sales exceeding $200 million before it was sold in 2009. In 2012 Petsche donated $1 million to establish the Arnold E. Petsche Center for Automotive Engineering at UTA. His son, Alan, and daughter-in-law, Bonnie, are both Distinguished Alumni and ardent supporters of the University. ('62 BBA, Accounting) 82, May 20, Arlington. ('63 BS, Electrical Engineering) 82, Dec. 22, 2016, Fort Worth. Dawson worked at Chance Vought (LTV) while attending night school at Arlington State College. He worked on special projects for General Dynamics (Lockheed Martin) and retired as director of F-22 Utilities and Subsystems after 40 years. ('63 BA, English) 82, March 5, Nacogdoches. He taught for 40 years at Stephen F. Austin State University, where he was known as "Flunkin' Duncan." ('63 BS, Engineering) 78, April 30, Dallas. He was a professor at the University of Dallas for 40 years. ('65 BS, Mathematics) 92, Sept. 28, 2016, Fort Worth. An aviation engineer, she was on the team that built the first control tower at San Antonio International Airport and various other airport facilities in Texas and Louisiana. ('65 BS, Aerospace Engineering) 73, March 24, Austin. He worked for NASA. ('65 BS, Electrical Engineering) 79, Oct. 4, 2016, Salisbury, Maryland. He worked in the aerospace industry with LTV Aerospace Corp. and NASA's Wallops Flight Facility, Goddard Space Flight Center, and Vandenburg Air Force Base. ('65 BA, History) 73, Aug. 25, 2016, Garland. He taught in Dallas schools for 31 years. He established the Fenton Wayne Robnett Endowed Professorship in the College of Education. ('66 BS, Industrial Engineering) 74, May 17, San Diego. He worked as a nuclear logistics facilities engineer and retired from Lockheed Martin as an industrial engineer. ('66 BS, Aerospace Engineering) 73, May 20, Bedford. ('66 BBA, Business) 76, Feb. 20, Waxahachie. He was a self-employed building contractor. ('67 BBA, Accounting) 72, July 31, 2016, Arlington. He specialized in real estate law. ('68 BBA, Business) 71, April 7, Dallas. He was a criminal defense attorney. ('68 BS, Mathematics) 71, Feb. 17, Fort Worth. ('69 BA, Psychology) 70, Feb. 4, Dallas. ('69 BA, English) 69, Jan. 1, Quitman. ('69 BA, History) 71, April 20, Fort Worth. He played on the UTA basketball team. ('70 MSSW, Social Work) 84, Jan. 24, Dallas. She was in the first graduating class of the Master of Social Work program. She worked for 20 years with the Jewish Federation of Greater Dallas. ('70 BA, History) 68, March 5, Fort Worth. He was an attorney. ('71 BA, Sociology) 69, Feb. 19, Castlewood, Virginia. She was the first female computer technician with IBM in Austin. ('71 AS, Electrical Engineering) 74, Jan. 10, Arlington. He worked in electrical engineering for TXU. ('72 BA, History) 73, Jan. 6, Arlington. ('72 BS, Geology) 67, Jan. 20, Houston. ('72 BA, History) 70, June 6, Fort Worth. He played with the San Francisco 49ers for five years. ('73 BA, '76 MA, German) 66, March 28, Fort Worth. ('73 BA, Sociology) 68, May, Fort Worth. He worked in the Texas Governor's Office as an ADA specialist. Later, he worked with the Texas Workforce Commission and Easterseals. ('74 BS, '76 MA, Chemistry) 67, Feb. 18, Webster. ('74 BBA, Business) 74, March 1, Gun Barrel City. ('75 BBA, Business) 76, April 28, Crowley. ('78 BA, Sociology) 71, April 1, San Angelo. ('79 BS, Psychology) 60, Oct. 20, 2016, Grapevine. He worked for 25 years with Lockheed Martin Aeronautics. He donated 14 gallons of double red blood to Carter BloodCare. ('79 BSN, Nursing) 90, Nov. 1, 2016, Burleson. She earned her degree and was valedictorian at age 42. She retired from All Saints Hospital. ('79 MS, Civil Engineering) 82, Aug. 4, 2016, Arlington. He retired from the U.S. Environmental Protection Agency. ('80 BS, Mechanical Engineering) 58, Aug. 29, 2016, Midland. ('80 MS, '84 PhD, Mathematics) 76, March 11, Arlington. ('80 BS, Biology) 58, March 30, Durango, Colorado. He was a dentist. ('80 BBA, Accounting) 60, May 28, Matthews, North Carolina. He was a CPA. ('81 BBA, Economics) 59, May 22, Fort Worth. He was a CPA. ('81 BA, English) 78, May 18, Wimberley. ('81 MBA) 59, Sept. 18, 2016, Dallas. He practiced commercial real estate law. ('82 BA, Political Science) 61, Oct. 9, Richardson. He was a litigation and products liability attorney. ('83 BBA, Real Estate) 60, April 7, Panama City Beach, Florida. Attending UTA on a full football scholarship, Jensen played for the Oakland Raiders for eight seasons as a running back and tight end, including in two Super Bowl victories, and was a scout for the Seattle Seahawks for 22 years. The Seahawks team renamed its draft room for him. ('85 MBA, Business) 64, Feb. 27, Bedford. He was a financial analyst for American Airlines. ('86 BS, Electrical Engineering) 65, May 29, Waxahachie. ('86 BA, Television/Film) 53, Nov. 28, 2016, Arlington. 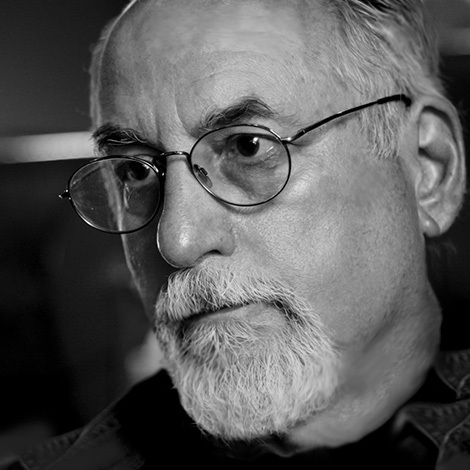 He was a special effects production supervisor, director, actor, and music coordinator in Hollywood. ('90 BA, Interdisciplinary Studies) 49, June 3, Arlington. ('92 BS, Industrial Engineering) 50, Nov. 21, 2016, North Richland Hills. ('94 BS, Mathematics) 44, April 28, Hurst. He was a math teacher at L.D. Bell High School in Hurst. ('94 BA, Journalism) 63, May 13, St. Paul, Texas. ('94 BA, Psychology) 44, Nov. 30, 2016, Keller. ('95 BS, Information Systems) 56, Jan. 8, Dallas. He was employed at Holy Trinity Catholic Church and had an acting career on stage and in film. ('95 BBA, Finance) 44, Nov. 14, 2016, Memphis, Tennessee. ('96 PhD, Business Administration) 59, May 27, Las Cruces, New Mexico. ('97 BSSW, '05 MSSW, Social Work) 43, March 30, Arlington. She was a graduate student in the Psychology Department. ('98 BA, English) 57, Sept. 22, 2016, Dallas. ('00 BBA, Accounting) 75, March 7, Dallas. ('00 BSN, Nursing) 52, May 12, Grand Prairie. ('03 BS, Mechanical Engineering) 58, March 20, North Richland Hills. ('04 BM, Music Education) 35, March 28, Arlington. ('05 PhD, Social Work) 46, May 8, Lexington, Kentucky. ('08 BS, Electrical Engineering) 31, May 22, San Diego, California. He was lead engineer for the sensor on the MQ-4C Triton unmanned air vehicle developed by Northrop Grumman. A scholarship was created in his name in the College of Engineering. Learn more about the Stephen C. Robb Scholarship in Engineering fund at giving.uta.edu/stephenrobbscholarship. ('08 BSN, Nursing) 33, May 4, Colleyville. ('10 BA, Philosophy) 29, May 19, Temple. ('11 BS, Interdisciplinary Studies) 53, May 16, Crowley. ('12 BS, '16 MS, Chemistry) 33, Nov. 25, 2016, Euless. He served seven years in the U.S. Navy, with four years as a surface ship nuclear propulsion plant operator at sea aboard the USS Ronald Reagan aircraft carrier. He was deployed in support of Operations Iraqi and Enduring Freedom. ('14 BS, Biology) 25, April 27, Fort Worth. ('16 MEd, Education) 44, March 2, Arlington. She was a second-grade teacher at Johns Elementary in Arlington. ('16 BA, Broadcasting and Telecommunications) 28, Jan. 29, Arlington. Phifer worked at iHeartRadio as a radio broadcasting engineer and in his free time produced his own music in his G-Phorce Productions studio. Earle Grady "E.G." Hamilton Jr.
97, May 8, Dallas. The Omniplan/Harrell+Hamilton Scholarship fund for graduate architecture students at UTA was named in honor of Hamilton, a renowned Dallas architect. 103, April 22, Houston. McDowell studied engineering at North Texas Agricultural College before a 1933 appointment to West Point. The youngest officer on Gen. George Patton’s staff, he installed the first UNIVAC computer at Wright-Patterson Air Force Base. 90, May 27, Colleyville. A member of the College of Engineering Advisory Board, he retired in May 1991 as a senior vice president of research and engineering at Bell Helicopter. 87, April 9, Bartow, Florida. She was an assistant supervisor in the campus print shop from 1987-92. 77, March 27, Granbury. She worked as a cashier for the UTA Police Department from 2015-17. 91, March 30, Arlington. He had been a Distinguished Research Professor in Physics since 2011. 91, March 1, Grand Prairie. She was senior secretary for the associate dean of engineering from 1973-87. 72, Jan. 27, Lancaster. She was a research associate for the Department of Psychology from 2004-10. 69, March 16, Arlington. A U.S. Navy veteran, he worked in the Military Science Department from 1998-2017. ('97 MS, '07 PhD, Mathematics) 70, March 22, Fort Worth. He taught mathematics at UTA from 1993-2016. A scholarship in his name supports the TexPREP Engineering Summer Program at UTA. 84, March 10, Arlington. The 1992 Employee of the Year was a secretary in the College of Engineering and the Physical Plant from 1973-97. 84, March 5, Grand Prairie. He was a technical staff assistant in the Geology Department from 1986-92. 84, March 12, Arlington. She was a secretary in the Department of Finance and Real Estate from 1978-87.